Strong tobacco policies foster a campus culture of health and well being for staff, faculty, and students on college and university campuses. An integral feature of successful tobacco policies is the availability of tobacco treatment services. Offering help to quit is also an essential component of good policy enforcement. Tobacco-users should not feel singled out by a tobacco-free policy rather they should feel supported. Tobacco-free policies are about weakening the tobacco industry, not tobacco users. These Ten Key Recommendations come from the gold-standard guide from Health and Human Services, Treating Tobacco Use and Dependence: 2008 Update—Clinical Practice Guideline. Use these guidelines as a way to assess the treatment services that you are providing on campus. Download this ten item checklist by clicking here. 1.Have a system in place to ensure every patient is asked whether or not they use tobacco and their answer is documented. 2. Medical providers should, at a minimum, use brief tobacco treatment interventions. 3. Tell tobacco users about the California Smokers’ Helpline to help them quit. 4. Make sure patients and clinicians both have access to resources (brochures, pamphlets, a list of community services, medication information sheets, etc.) that will help patients quit tobacco. 5. Medical providers should encourage tobacco users to quit by using both counseling AND medication (as medically appropriate). 6. Medical providers/healthcare professionals should use “motivational interviewing” to increase tobacco users’ motivation to quit. 7. Provide trainings (e.g. lectures, workshops, in-services) that teach clinic staff about tobacco treatment and each person’s responsibility to help patients quit. 8. Provide intensive counseling (multiple visits for longer periods of time) to patients, including individual (one-on-one), group and/or phone counseling. 9. Dedicate a staff member at your clinic to work on tobacco treatment. Younger populations often use traditional methods of quitting tobacco. This is where technology plays an integral part in tobacco treatment. Quit rates among people who use tobacco are increased when the use of smartphone apps and texting are included as part of a tobacco treatment plan. Order your free Guides today. Freeing Veterans from Tobacco is designed to support health professionals working with Veteran populations in developing or strengthening tobacco treatment services. The Toolkit educates readers on current tobacco products and health implications; the problem of tobacco use in military populations; tobacco dependence treatment best practices; and support providers in developing new tobacco treatment protocols and/or programs for supporting Veterans in quitting tobacco. Motivational Interviewing (MI) is a client-centered counseling intervention which has been shown to increase future quit attempts in individuals who are resistant to make a quit attempt This document serves as a reference sheet for the basics of MI, including general principles and techniques. This one page document provides some examples of what you can say when approaching a tobacco user on campus. 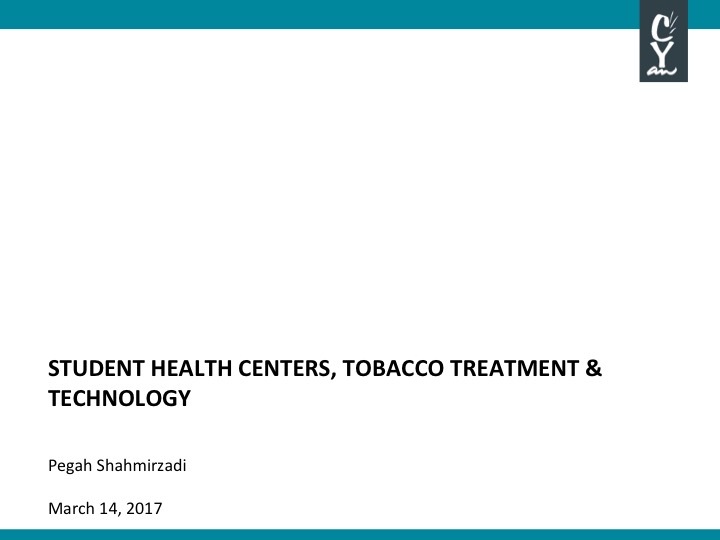 Free online and telephone counseling for tobacco cessation is widely available in the United States. Online and telephone counseling has been shown to be effective in helping people quit tobacco. The California Smokers’ Helpline is a FREE toll-free service available to anyone in the State of California. The Helpline provides FREE telephone counseling in 5 languages and TTY/TDD, and helps individuals create a personalized quit plan. Make Online Referrals to the Helpline and Helpline staff will follow up with patients.